is driven by the Group’s credo of continuous improvement. environmental impacts. At least four SHEQC meetings must be held annually, with more scheduled as needed. Health and safety committees are selected from the entire workforce and are based at all operations. The group’s SHEQC policy contains specific guidelines to integrate safety, human resources, health and occupational hygiene, so that production processes support sustainable growth of the business. 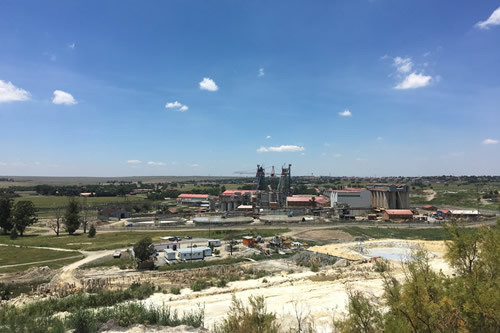 Pan African Resources complies strictly with the mining licence conditions set by the DMR, the Mine Health and Safety Act, 29 of 1996 (as amended from time to time) and other relevant legal requirements. 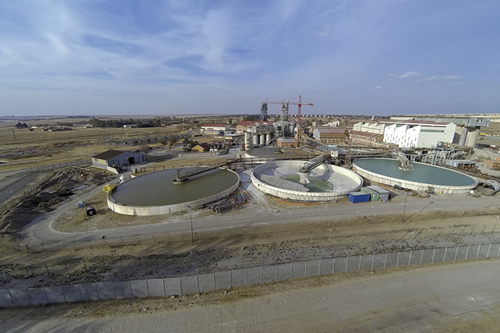 The group SHEQC manager, as well as safety, health and environmental officials, guide and advise each operation in terms of our philosophy. Legal requirements are treated as starting points for improvement and are regularly audited by group SHEQC officials. These are supported by monthly SHEQC performance reviews. We continually work towards and monitor DMR milestones to ensure we achieve zero-harm by 2020, with our results reported to the DMR regularly. 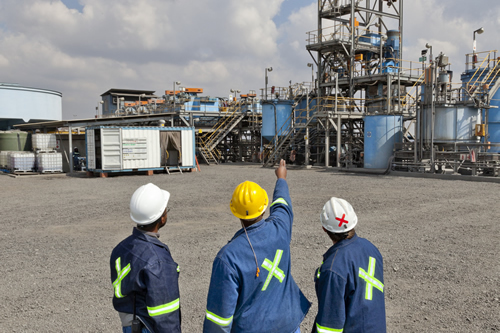 Besides our employees, contractors and suppliers are pivotal to achieving our SHEQC objectives. We encourage their involvement and buy-in through training, written communications and regular face-to-face meetings. 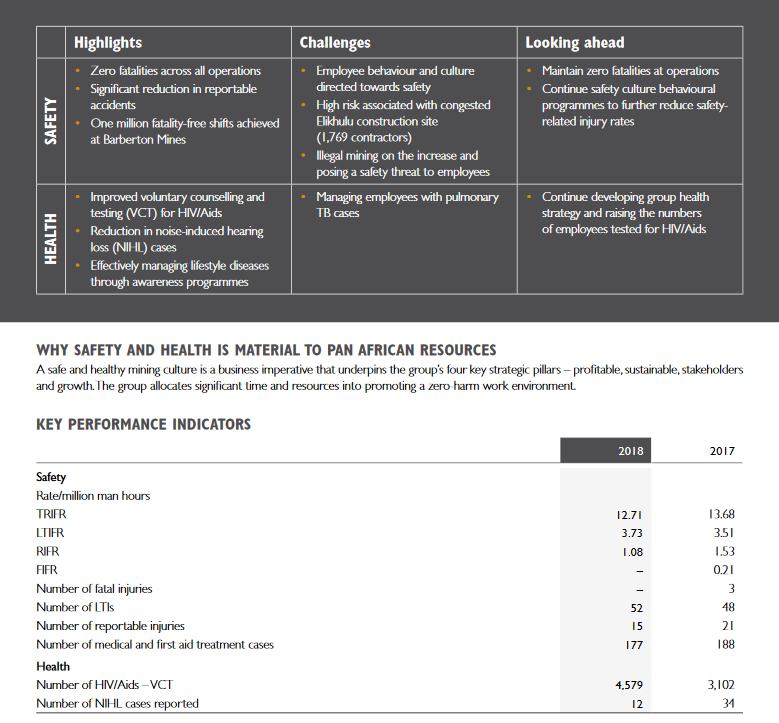 Each mining operation has its own in-house training programmes aligned to the group’s strategic objective of zero-harm. Safety, health and environmental training, including job-specific training, is included in employee inductions and when employees return from leave. Our occupational health and employee wellness programmes include the management of the ‘big six’ diseases: HIV/Aids, TB, diabetes, hypertension, silicosis and NIHL. Illegal mining continues to be a risk that requires ongoing management and proactive security intervention. During the period under review, the group security contract was reviewed and a new service provider was appointed. 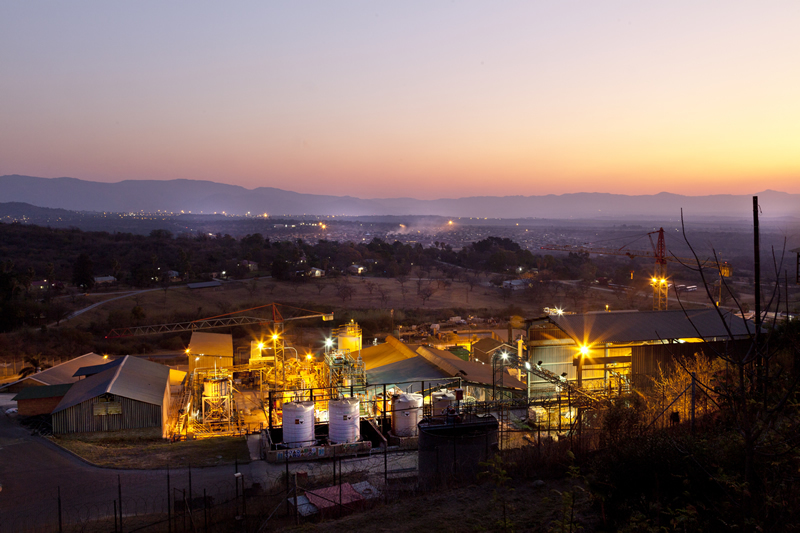 Barberton Mines and Evander Mines produce gold in the form of bars and by-products. Gold is a benign product with no significant environmental, health or safety impacts. All gold products generated by the group are refined by Rand Refinery, an accredited London Bullion Market Association refinery, and sold to South African financial institutions.